What is a substance abuse counselor? A substance abuse counselor is someone who helps people find ways to stop using drugs, alcohol, food and other substances as a way to face their inner demons. Many people tend to eat when depressed, do drugs to “lose themselves” or drink to get over a bad breakup, but that is not something that is ever encouraged by any healthcare official. Substance abuse counselors provide an outside perspective on ways to help overcome obstacles without turning to unhealthy substances. A substance abuse counselor has many goals. From establishing a connection with the patient to helping keep a recovered patient from relapse, substance abuse counselors are generally the patient’s ground level to becoming independent of the substance which he/she is trying to overcome. The ultimate goal of a counselor is to help the patient be able to have the knowledge and strength to not give in to temptation no matter how hard the situation is to face. In other words, the goal is not to have a patient who no longer wants or is exposed to the substance, but to have a patient who can so no in the eyes of temptation. A recovered addict rarely loses the want of the substance, but can almost always find ways to say no to the urge. While the national growth rate for an occupation is only 11%, the rate of growth for a substance abuse counselor is 31%. Thanks to more and more insurance companies providing coverage for mental and emotional healthcare, more people are able to seek the treatment necessary to get through their substance abuse issues. Since more people are searching for help, the career placement chances are much greater than they used to be. 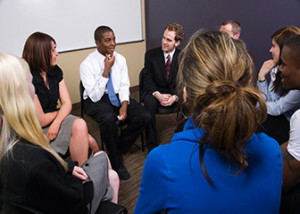 There are several aspects to substance abuse counseling, so there are many places that one could find work in the field. From opening your own practice to helping prison inmates succeed after their incarceration period is over, people everywhere are in need of professionals who can help them in their path to success and independence. There are even places that take volunteer substance abuse counselors so that they can help those without funds become independent of their weaknesses. While the growth rate continues to grow for substance abuse counselors, so does the need to have them. While the reasons behind the need are sad, it is important to think about everyone who will be benefiting from having a counselor to speak to. The United States Bureau of Labor Statistics has an excellent overview of what a substance abuse counselor is and all job requirements and information regarding the career. It is important to know the difference between a substance abuse counselor and other types of counselors. Even though most of them work together to provide patients and clients with a healthier lifestyle, each specialty focuses on different aspects of life. Stop asking yourself what a substance abuse counselor is, and start asking yourself if you are cut out to do the job.